The Personal Leadership Development Industry is booming. The release of the "THE SECRET" and the the phenomenal results gained from applying the Law of Attraction has seen now over a $65+ billion industry. Personal Development and growth is about empowering YOUR LIFE and creating YOUR LIFE experiences. Do you feel that perhaps you are missing out on something ? Do you feel that you have a burning desire or untapped potential that you just can't grasp or develop. LOVING LIFE NOW can help you discover the abundance within you and be your guide on your personal journey of self discovery and clarity of purpose. 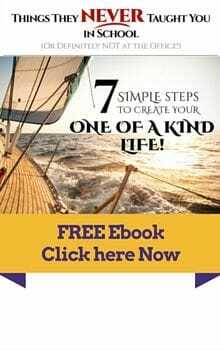 The key to unlocking the LOVING LIFE NOW secret is designing and living your true life. Through your personal development journey you can discover your clarity of purpose and your life vision. LOVING LIFE NOW will guide your journey to transform your life and unlock the wonders of YOUR life YOUR way.Transforming your mind and releasing the life you have now and embracing the life YOU want. The journey of your Professional Development with LOVING LIFE NOW and personal growth program will manifest your wildest dreams and create the ultimate and abundant life experiences.